Moutaz Abou-Robieh, MBA, DBA, Argosy University. Kathleen Andrews, MED, American Intercontinental University; PhD, Alliant International University. Peter Anthony, BS, University of Northern Colorado; MS, Chapman University; EdD, University of Phoenix. Sam (Saleh) Atieh, BSc, Texas A&M University; MBA, DBA, California Intercontinental University. Alen Badal, BS, California State University, Stanislaus; MS, National University; PhD, Union Institute and University. Robert M. Banasik, BS, Post University; MBA, Malcolm Baldridge School of Business, Post University; DBA, Walden University. Christopher Beehner, MPA, City University of Seattle; DBA, Northcentral University. Ronald Black, BS, Rhode Island College, EdD; Nova Southeastern University. Judith Blando, BS, Chadwick University; BS, MA, DM, University of Phoenix. David Blum, MBA, Maryhurst University, DBA, Walden University. Janet Booker, MA, University of Phoenix, EdD, University of Phoenix. George Bradley, BS, South Carolina State; MEd, South Carolina State. Annie Brown, A.S., Florence-Darlington Technical College; BBA, Francis Marion University; MBA, Francis Marion University; PhD, Walden University. Sharon L. Burton, BS, Florida State University; MBA, American InterContinental University; DBA, National Graduate School of Quality Management. Scott Burrus, MA, Golden Gate University; PhD, Northcentral University. Douglas Campbell, MA, Webster University; PhD, Capella University. Michael Campo, MS, Regis University; DBA, Northcentral University. Natalie Casale, MBA, Monmouth University; DBA, University of Phoenix. Lisa A. Cave, BSc, Florida Southern College; PhD, Environmental Systems Graduate Certificate, University of Kentucky. Rowlanda N. Cawthon, BA, University of Puget Sound; MA, Chapman University (Brandman University); DOE, Brandman University. Larry Chandler, MBA, Embry-Riddle Aeronautical University; PhD, Embry-Riddle Aero University-Prescott. Wen-Wen Chien, MS, Arkansas Tech University; DBA, Nova Southeastern University. Jon Corey, BA, Washington & Jefferson College; MSEd, PhD, University of Southern California. Kim Critchlow, BS, MS, DM, University of Phoenix. Kevin Davies, MBA, PhD, Capella University; MSEd, University of Wisconsin-Whitewater. Anne Davis, MBA, Harvard University; PhD, CUNY Graduate Center. Maya Dereshiwsky, MS, University of New Haven; PhD, University of Massachusetts. Lionel DeSouza, BS, Nagpur University; MBA, Athabasca University; PhD, Capella University. Jeanne Dorle, BS, University of Minnesota; MA, University of Minnesota; PhD, University of Minnesota. Ify Diala, MBA, Strayer University; PhD, Capella University. Yvonne Doll, MS, University of Southern California; DM, University of Phoenix. Gwendolyn Dooley, BS, MPA, Jackson State University; EdD, Nova Southeastern University. Julie Ducharme, MBA, National University; DBA, University of Phoenix. Diane Dusick, BA, MA, Fairfield University; PhD, University of Southern California. Rocky J. Dwyer, MS, Rochester of Southern California; PhD, Capella University. Julia East, BS, MS, Clarion University of Pennsylvania; Doctor of Management, University of Phoenix. Al Endres, BS, Washington University in St. Louis; MS, PhD, Illinois Institute of Technology. Rollis Erickson, MA, Reformed Theological Seminary; PhD, Regent University. Susan Fan, BSBA, MBA, DM, University of Phoenix. Carol-Anne Faint, BA, Simon Fraser University; MS, University of Phoenix; PhD, Northcentral University. Jerry Franklin, MS, Central Michigan University; PhD, Walden University. Gene Fusch, PhD, Southern Illinois University. Donna Galla, BS, University of Delaware; MBA, Goldey Beacom College; DBA, Nova Southeastern University. Erica Gamble, MBA, University of Phoenix; Doctorate, University of Phoenix. Jorge Gaytan, MBA, University of Texas at El Paso; EdD, University of Texas at El Paso. Yvette Ghormley, MS, Capella University; MA, George Washington University. James Glenn, MBA, Palm Beach Atlantic University; DBA, Nova Southeastern University. Kenneth Gossett, MS, University of Chicago; PhD, University of Minnesota. Franz Gottleib, MBA, Golden Gate University; PhD, University of Phoenix. Gayle Grant, BA, Rutgers University; MA, Kean University; DM, University of Phoenix. Perry Haan, MBA, Xavier University; DBA, Argosy University. Denise Hackett, BS, Radford University; MBA, Northcental University. Janie A. Hall, BA, MBA, Ottawa University; DBA, Walden University. Mohammed Hammoud, MA, DeVry University; PhD, Northcentral University. John Hannon, DBA, Nova Southeastern University. Dorothy Hanson, BA, Union Institute and University; PhD, Argosy University. David Harris, MPA, Bellevue University; DBA, Jones International University. Olivia Herriford, MBA, University of Phoenix, Doctorate, University of Phoenix. Robert Hockin, BA, Moravian College; MA, PhD, University of Minnesota. Brenda Jack, LLB, University of the West Indies; JD, Sir Hugh Wooding Law School; PhD, Barry University. Teresa Jepma, MA, Saint Mary’s University, Doctorate, University of Phoenix. Arthur Johnson, EdD, Florida Atlantic University. Brodie Johnson, PhD, Capella University. Richard B. Johnson, MA, California State University; MA, Fuller Theological Seminary; PhD, The Open University. Ronald Jones, BS, University of West Florida; MBA Liberty University; PhD, Walden University. Edgar Jordan, DBA, University of Phoenix. Lisa Kangas, MA, University of Phoenix; PhD, University of Phoenix. Patsy Kasen, MBA, Southern Illinois University; DM, Webster University. Douglas Keevers, BS, Slippery Rock University; MA, Webster University; EdD, Northcentral University. Jaime Klein, PhD, Capella University. Matthew Knight; MA, Plymouth State University; DBA, Argosy University. Denise Land, BS, MS, California State University; PhD, University of Phoenix. Krista Laursen, MS, University of Washington; DBA, Walden University. Michael Lavelle, MM, University of Mary; PhD, Capella University. Bruce Lazar, BA, MBA, DM, University of Phoenix. Alexandre Y. Lazo, BA, MS, California State University-Fullerton; PhD, Capella University. Cheryl Lentz, MS, Troy University; DM, University of Phoenix. Warren Lesser, MBA, Centenary College of Louisiana; DBA, Walden University. Karin Mae, BA, MA, San Francisco State University; EdD, University of San Francisco. Timothy Malone, BS, University of Nebraska–Omaha; MA, Redlands University; PhD, Union University. Craig Martin, MBA, Harvard University; PhD, Northcentral University. Eric (Joseph) Massey, BA, University of Oklahoma; MA, PhD, University of Arizona. Roger Mayer, BS, Regents College; MBA, DBA, Nova Southeastern University. Chad McAllister, BS, MS, University of Colorado; PhD, Capella University. Jack McCaffery, AA, St. Petersburg Junior College; BA, National-Louis University; MBA, Tampa College; JD, Barry University School of Law; DBA, Argosy University. Cheryl McMahan, MBA, University of Phoenix; DBA, Alliant International University. Pamela Mertens, MS, University of Central Florida; PhD, Nova Southeastern University. Kimberly Millier, MBA, Boise State University, DBA, University of Phoenix. Robert Miller, BA, University of Central Florida; MS, University of Phoenix; EdD, Nova Southeastern University. David Moody, MBA Grand Valley State University, PhD Northcentral University. 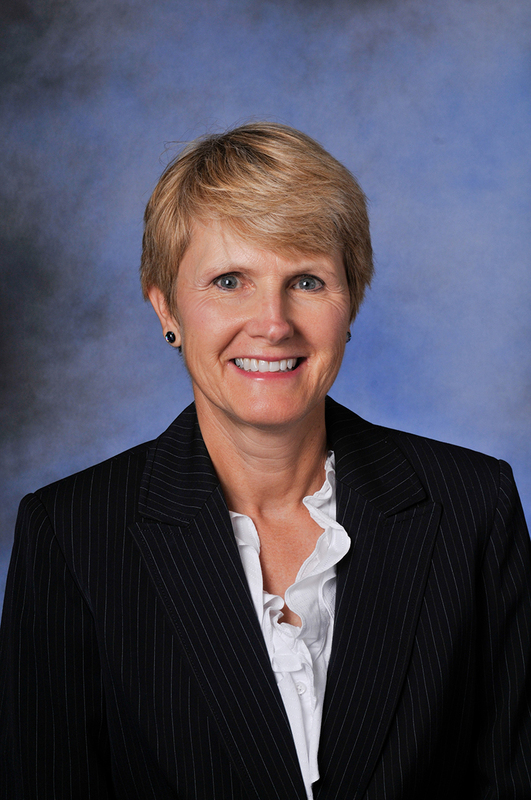 Cheryl Moore, MBA, Keller Graduate School; DBA, Capella University. Beverly Muhammad, MBA, University of Phoenix; Doctorate, University of Phoenix. Jill Murray, BA, University of Scranton; MA, SUNY at Albany; PhD, Marywood University. Elisabeth Musil, MA, Antioch University; Southern Cal, Doctorate, University of Phoenix. Romuel Nafarrete, BS, United States Naval Academy; MS, National University; MS, Naval Postgraduate School; DM, University of Phoenix. Deborah Nattress, MA, California State University; PhD, Capella University. Theresa Neal, MS, John Brown University; PhD, Capella University. Charles Needham, DBA, University of Phoenix. Frederick Nwosu, BA, Shaw University; MBA, DM, University of Phoenix; PhD, Capella University. Edward Paluch, MA, PhD, Columbia University. Jamie Patterson, MA, University of Missouri; EdD, Walden University. Patricia Phillips, Masters, Birmingham-Southern College; PhD, University of Mississippi. Noor Razzaq, BS, Colorado Technical University; MS, University of Cincinnati; PhD (DSS), Henley-Putnam University; PhD, Colorado Technical University. Orlando Rivero, BS, Fort Lauderdale College; MA, Georgia Southern University; MPA, Nova Southeastern University; DBA, Argosy University. Steve Roussas, BS, Central Michigan University; MS, Arizona State University; PhD, Capella University. Stella Rostkowski, MS, Capella University; PhD, Capella University. Dina Samora, MBA, Liberty University; EdS, Liberty University. James Savard, MS, Embry-Riddle Aeronautical University; MS, Regis University; PhD, Northcentral University. Thomas Schaefer, BS, University of Florida; MBA, DBA, Argosy University. Robert Sherman, MBA, Arizona State University; PhD, Arizona State University. John Sienrukos, MS, California State University, PhD, Capella University. Brandon Simmons, EdD, University of North Carolina, PhD, North Carolina State University. Marilyn Simon, MS, Illinois Institute of Technology, PhD, Walden University. Chad Sines, MS, Georgia Institute of Technology, DBA, University of Phoenix. Daniel Smith, MBA, Arizona State University, PhD, Arizona State University. Richard Snyder, BA, Antioch University; MBA, University of California, Los Angeles; PhD, University of Southern California. Sean Stanley, DBA, Walden University. William Stokes, MBA, Alaska Pacific University; DBA, Nova Southeastern University. Reginald Taylor, MEd, University of Maryland College; PhD, Walden University. Gregory Uche, BSEd, MEd, University of Lagos; PhD, University of Hull. Jamiel Vadell, MS, Central Michigan University; PhD, Capella University. Gergana Velkova, MA, Neophit Rilski South West University; PhD, Capella University. Edward Walker, MS, Oakland City University; Doctorate, University of Phoenix. Isabel Wan, MBA, Long Island University; PhD, Lynn University. Gregory Washington, MBA, University of Phoenix; Doctorate, University of Phoenix. Mary Weber, MA, University of Phoenix; DBA, Grenoble Ecole de Management. Irene Williams, BBA, Lubbock Christian University; MBA, Wayland Baptist University; PhD, NorthCentral University. Arnold Witchel, BA, University of Memphis; MA, University of Phoenix; DBA, University of Sarasota. Doron Zilbershtein, Bachelor in Engineering, University of Glasgow, Scotland; MBA, Capella University; PhD (ABD), NorthCentral University.